Todd and his team of expert technicians are traveling the same roads and driving conditions that you are. We understand the specific needs of vehicles in this community and will design a maintenance service plan that’s perfectly suited for your vehicle. The most important maintenance service for your vehicle is the oil change. To keep your engine performing stronger and longer, you’ll need an appropriate oil change schedule. We consider your vehicle’s age, your driving habits, and the manufacturer’s recommendations. Lube services, tune-ups, thorough inspections, and component replacements are not a “one size fits all” types of service. To keep your vehicle safely on the road, and avoid costly repairs, it takes our preventive maintenance services. Your goal is to avoid expensive repair services whenever possible, and so is ours! Your vehicle’s repairs always seem to have the worst possible timing. Todd’s Automotive in Lake Oswego, OR wants to give you breathe a sigh of relief. Whatever problem’s happening under the hood, you already know the team to diagnose and fix it. That’s half the battle. Every one of our repairs starts with an accurate diagnosis to get you started on the right foot. Vehicles are much more complex these days and come with onboard sensors and computer diagnostics. Our ASE Certified techs stay current on all the latest technologies and keep you informed of your vehicle’s condition as well. Don’t wait for the check engine light! Bring your vehicle to us for proactive attention that gives you all the information you need. Our full-service shop handles it all, from quick and affordable oil changes to complex transmission services. Your trust is our top priority. When you drive away from Todd’s Automotive, you can have confidence that you won’t be returning for the same services anytime soon. 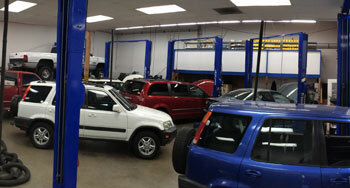 We get your repairs right the first time, performing any repairs services from bumper-to-bumper. The most difficult component to repair is your vehicle’s transmission. Even the most experienced do-it-yourselfers will bring their vehicle to us. For complete automatic and manual transmission repairs, rebuilds or replacements come to our facility. 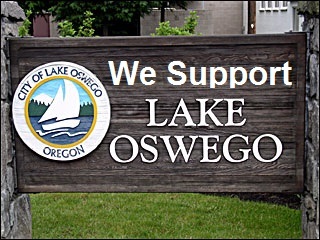 Todd Automotive is a trusted name in quality transmission service and has been meeting Lake Oswego’s transmission need for over 17 years. Our industry-leading warranty of 3 Years / 36,000 Miles is our guarantee that you’re receiving the best transmission services possible. Today is the day to get your vehicle on the appropriate maintenance service plan. Most people wait for their check engine light to tell them to visit our facility, but we suggest that there’s a better way. Of course, we should be your first call after the check engine light pops on, but our experts can provide the maintenance services that keep your vehicle’s engine in tip-top shape. All you have to do is call our experts, and we’ll make an appointment to address any of your questions or concerns about your vehicle’s performance. Our techs are as advanced as your late model vehicle, and its computerized operating systems. We’re waiting for your call, so we can schedule you for an auto service appointment. We look forward to serving you and your vehicle!